McIntyre's departure is expected to be confirmed later by the Clydesdale Bank Premier League bottom club. The Pars have not won at home all season and have only recorded two victories since August to leave them four points adrift of Hibernian. A brief statement on the club's official website read: "It was agreed between the manager and the DAFC board today that no formal statement would be issued until 7 pm tonight." 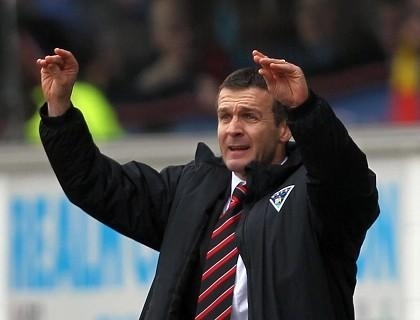 McIntyre took over as manager in December 2007, initially on an interim basis, and led the Pars to the Irn-Bru First Division title last season despite ongoing cutbacks.